Hong Kong-born U.S. Foreign Service Officer Edward Loo migrated to the United States as an infant, and went on to serve in Taiwan at the time of the infamous 1989 Tiananmen Square massacre — and in mainland China during the period of martial law that followed. Loo’s career as a Foreign Service Officer spanned nearly three decades and took him around the globe, from Asia to Europe and beyond. Loo grew up in San Francisco, California, earned an MA at Columbia University, and joined the Foreign Service in 1987. In Taiwan, Loo witnessed first hand the reactions of shock and dismay that followed the events in Tiananmen Square. Shortly thereafter Loo was transferred to Beijing, where the martial law and other repressive measures instituted by the Chinese government brought tension throughout the country — and in the U.S. Embassy. Loo was interviewed by Charles Stuart Kennedy in September, 2017. On May 1, 1960, at the height of the Cold War, the Soviet Union brought down an American U-2 spy plane piloted by Francis Gary Powers. The U.S. government’s first reaction was to construct a believable cover story to conceal its program of high-altitude surveillance missions over the Soviet Union. In a 1994 interview with Thomas Dunnigan, Nalle relates an encounter with Powers and recalls the various cover stories the U.S. government provided to explain the presence of the U-2 aircraft in the region — before the Soviets put Powers on television and the United States government went public with more accurate the details surrounding the crisis. Nalle’s story provides a glimpse into an age of espionage, revealing the amount of secrecy that existed even within governmental organizations. 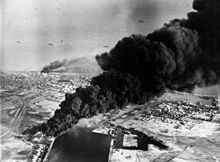 The Suez Crisis of 1956 had far-reaching implications not only for Egypt and the Middle East, but throughout the world. President Gamal Abdel Nasser had risen to power determined to rid Egypt of colonial influence and avoid Cold War alignment. When the U.S. and U.K. suddenly withdrew their offer to help finance construction of the Aswan Dam, Nasser accelerated his plan to nationalize the Suez Canal. Nasser’s actions infuriated the British and French who were seeing a steady decline of their influence in the region with the rise of anti-colonial nationalism. The subsequent military incursion into Egypt by the British and the French was rooted in outrage at what these countries perceived to be an attack on their imperial interests. In a tripartite agreement, Israel agreed to launch an invasion force across the Sinai, at which point the British and French could intercede as peacekeepers. While this plan was later exposed, the British and other Western countries found it convenient, especially in the Cold War context, to paint Nasser as the aggressor. Nasser nationalized the Suez Canal Company and the canal remains in Egypt’s hands to this day. Ambassador Raymond Hare comments on the crisis and shares his experience working with President Nasser. Ambassador Hare was interviewed by Dayton Mak on July 22, 1987. In the early morning hours of October 11, 1987, a Burmese turboprop plane transporting 49 passengers, including 36 foreign nationals and four crew members, departed from Rangoon (now Yangon) and began its flight towards the popular tourist town of Pagan. Approaching the airport, the plane’s wing clipped the ridge of a mountain just outside the city, sending it crashing down the ridge. All 49 people aboard the plane were killed. Among the 49 killed were 14 Americans, seven Swiss, five British, four Australians, three West Germans, two French, and one Thai national. In the wake of this tragedy, the U.S. embassy in Rangoon was faced with the challenge of identifying and returning the bodies and belongings of the American nationals back to their families in the United States. This challenge proved difficult due to different standards of identification, the state of the victims’ bodies, and the looting of the crime scene by local villagers. Aloysius M. O’Neill was the Chief Consular Officer at the U.S. Embassy in Rangoon. O’Neill was the American counterpart on a team of diplomats from various embassies who were responsible for returning the nationals killed in the crash to their home countries. 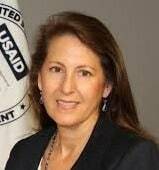 A career Foreign Service Officer, O’Neill served in various posts throughout East and Southeast Asia in addition to Burma (now Myanmar), including Japan, the Philippines, and South Korea. Below is an excerpt of his interview conducted by Charles Stuart Kennedy in 2008. 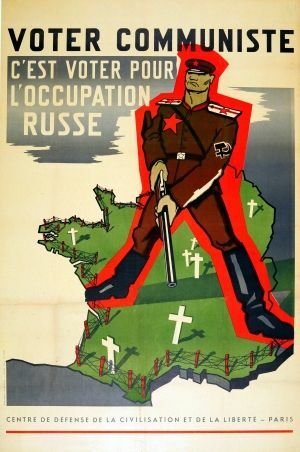 The obstacles the United States faced in implementing the Marshall Plan in the late 1940s and early 1950s included a vigorous propaganda contest with the USSR and their European communist allies. By the time Secretary of State George Marshall announced the plan at Harvard University on June 5, 1947, the United States was already implementing an ambitious foreign aid program — and working to counter Russian influence. Thomas W. Wilson, an Information Officer in Paris, and U.S. Ambassador William H. Taft III both recall early issues with Marshall Fund implementation. Each was interviewed by Charles Stuart Kennedy. Jacob J. Kaplan Head of Economic Research for the Southern Region of Europe was interviewed by W. Haven North. Bhumibol Adulyadej, also known as Rama IX, was the ninth monarch of Thailand and the longest-serving head of state in the world at the time of his death in October 2016. Beloved by his people, he was also a friend of the United States. Ambassador David Lambertson recalled his experiences with King Bhumibol and other members of the royal family in a 2004 interview. Bhumibol’s reign began in 1946. A coup in 1957 ushered in a series of military dictatorships until Thailand began to democratize after protests in 1992. The king played a key role in democratization and what would be termed “The Crisis of 1992,” and intervened after violence and riots threatened to start a civil war. After the king’s intervention, Thailand held a general election and established a civilian government. 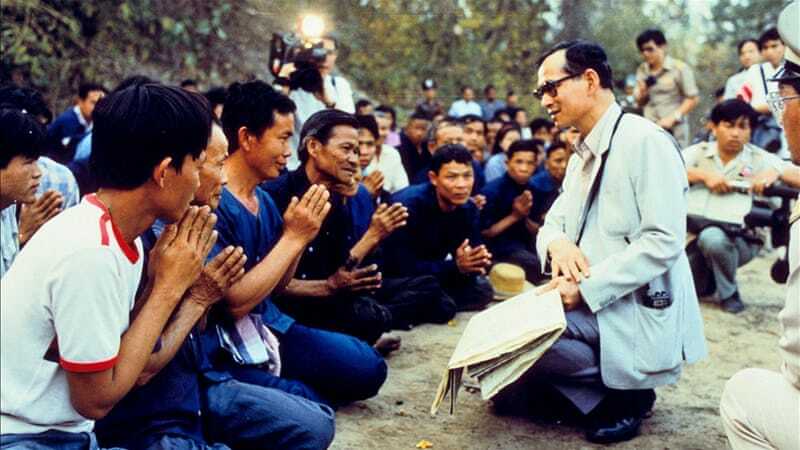 Bhumibol was highly respected and extremely popular among his people. Amb. John Leighton Stuart was a central figure in U.S.-China relations until his recall in 1949, when the United States broke diplomatic relations. 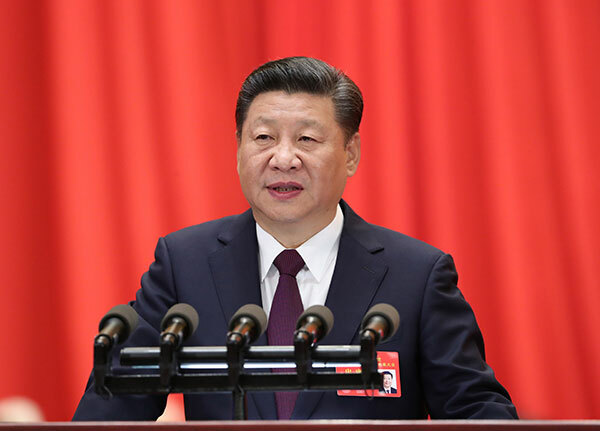 His ashes were interred in at his childhood home in Hangzhou in 2008, with the assistance of then-Zhejiang Party Secretary Xi Jinping, now China’s powerful President. Stuart was the first president of Yenching University in Beijing and became the United States Ambassador to China in 1946. 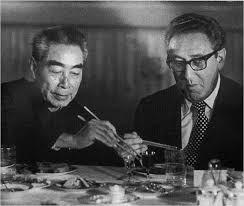 He was recalled in 1949 when the U.S. cut off diplomatic ties with China. Stuart, whose parents were American missionaries, was born and raised in China. He died in Washington in 1962. Ambassador Stuart stipulated in his will that his final wish was to be buried in China. Beatrice Camp was the Consul General in Shanghai from 2008-2011 and recalls how John Leighton’s final wish was largely fulfilled due to the intervention of then Party Secretary Xi Jinping, who made the arrangements for Stuart to be buried in China. Below is an excerpt from the collection “Shanghai Stories” which was published in 2013. U.S. diplomats who helped lay the groundwork for the North American Free Trade Agreement (NAFTA) first had to overcome entrenched Mexican skepticism. The United States, Canada, and Mexico decided in mid-1990 to start negotiating a free trade agreement. Discussions began in earnest early the following year. By mid-1993 the parties were fine-turning a draft agreement. After vigorous debate in the U.S. Senate, the United States ratified NAFTA later in the year and the agreement went into effect on January 1, 1994. But the path to implementation was also difficult in Mexico. Prior to the early 1990s, Mexico maintained high tariffs — which many U.S. exporters sought to lower. During negotiations Mexicans were skeptical, and worried about the impact of a free trade agreement on a plethora of state-run companies seen as vital to Mexican industry. Julius L. Katz, the Deputy Director to Special Trade Representative (1990-93) recalls events leading up the NAFTA talks, including Mexico’s recalcitrance. William E. Primosch of the National Security Council Economic Office (1992-93) notes that Mexico had much to lose in the form of reduced tariffs, and that U.S. participants did not fully grasp the political ramifications of the agreement. Marc Baas was an American Foreign Service Officer who served at a variety of different locations in Africa from 1972 to 1998, including Tunisia, Gabon, Zaire, and Ethiopia. 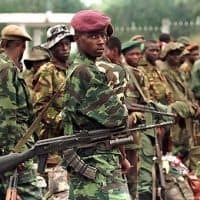 Baas was part of the small group of diplomats that were sent to broker negotiations in Zaire and was there until the fall of Kinshasa in 1997. Baas continued to serve as the Director for Central African Affairs in Washington D.C. for one more year before moving to the Economic Bureau. He retired in 2001. Below is an excerpt of his interview, conducted by Charles Stuart Kennedy in November 2005.